Few places in the world have as many UNESCO World Heritage sites packed into one area but Sri Lanka boasts an incredible 8. The island has a culture spanning over 2000 years and is full of legendary temples and ancient sites perfect for exploring. The island teems with wildlife too and safari tours offer an insight into the national parks where visitors might encounter leopards, water buffalo, plus an abundance of birds and primates. The natural surroundings of the island are diverse and magnificent. You can be walking along an untrodden white beach one minute and then exploring verdant jungle the next. The country is developing quickly but still offers the charms and allure of an undiscovered mystical land. The island’s culture, history and stunning natural beauty make this a place you must visit if you haven’t already. Here we share our favourite luxury residences on this tempting island. If you love immersing yourself in the history and architecture of old buildings the Ulagalla Resort will not disappoint, as it dates back 150 years and was originally a mansion belonging to a chieftain. 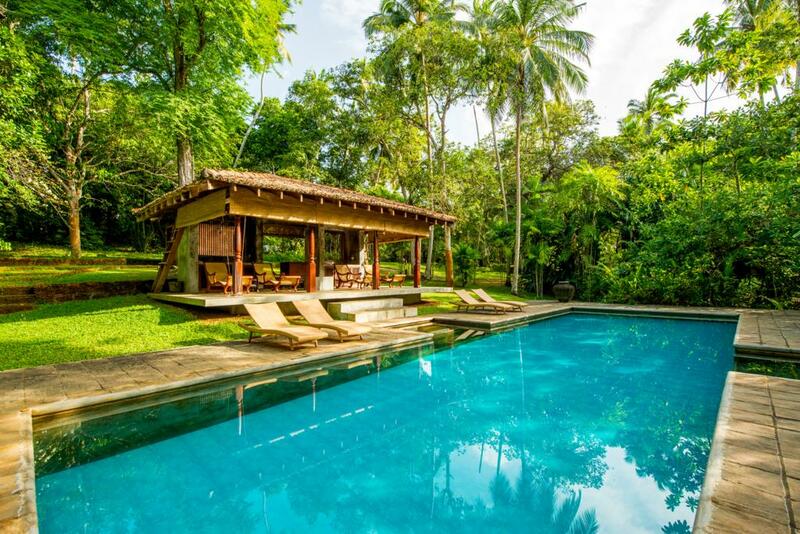 Ulagalla is just a 30 minute drive from Anuradhapura and is a secluded, luxury resort in a lush, tropical environment that is far from the bustle of everyday life. Accommodation includes villas with pools, a spa experience that has been designed to resemble a cave and superb dining either in the restaurant, on a private deck, or actually in the paddy fields that surround the resort! 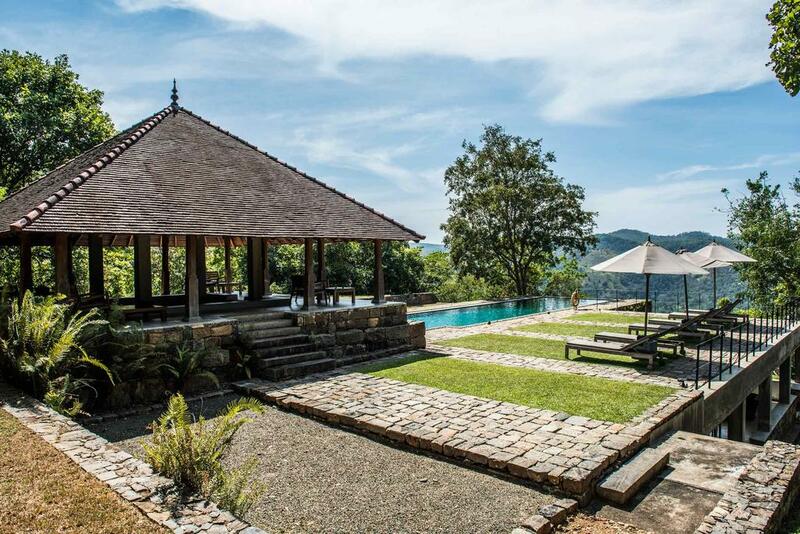 For a trip to Sri Lanka’s gorgeous hill country, the Living Heritage is perfectly situated on it’s own estate in a delightful, forest setting. It is also in close proximity to Lipton’s famous tea estate and is located on a picturesque train route that goes from Kandy to Ella. Villas have their own secluded courtyard, long veranda and no less than three forest pavilions where you can view the treetops whilst curling up with a good book and a cool drink. There is also a glorious infinity pool overlooking the views, and ample opportunities for forest treks and strolls over the 80 acre site. 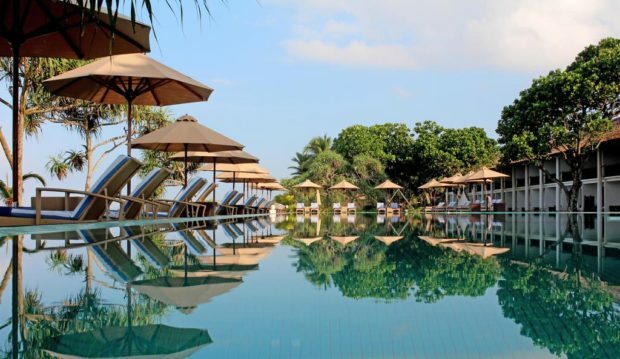 If the idea of stopping in a luxury resort that is secreted in a coconut plantation appeals, then the Antara Peace Haven is the place to consider. Overlooking the Indian Ocean and perched on a cliff on Sri Lanka’s southern shores, the resort has 152 luxury rooms and villas to choose from. As well as Ayurvedic rituals and treatments in the spa, you can also enjoy dining with stunning views from the cliff tops. The resort offers a haven of tranquillity with a chance to practise yoga on the pristine sands, explore villages by tuk-tuk and most importantly, savour the spices and flavours of traditional Sri Lankan dishes and delicious wines from the exclusive wine cellar. For a truly romantic escape, The River House is the ideal retreat. 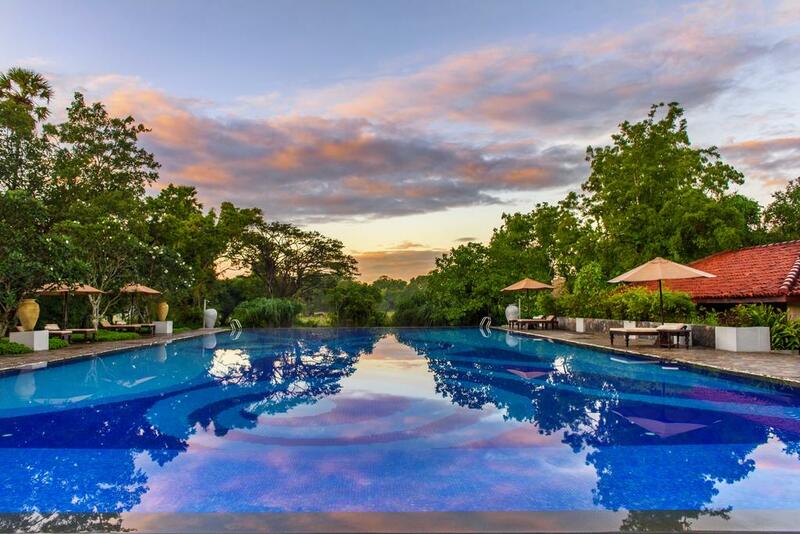 Set on the banks of the Madhu Ganga on 13 acres of tropical garden, it has 5 unique suites for a very individual and private experience. Suites include plunge pools in open plan settings that make you feel you are actually in the lush forest surrounding the accommodation, and the resort lends itself to complete privacy and relaxation. Special honeymoon packages are available and you can avail yourself of in suite massages and a range of delicious food from the menu. 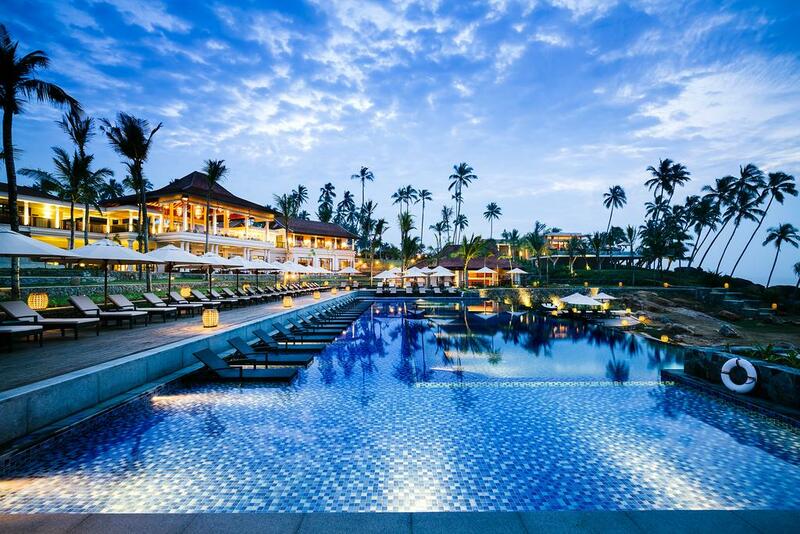 As the name suggests, this resort in Sri Lanka has a colonial feel with the spectacular Galle Beach as a backdrop. The resort has an opulent feel with a diverse selection of accommodation options that include Beach Rooms, Ocean Rooms, Fortress Rooms and Beach Splash rooms. However, if you want to take the splendour up a notch there are also magnificent Forest and Ocean Loft Suites to choose from. You can indulge in one of the many spa treatments available such as hot stone therapy, and the resort is eco-friendly with opportunities to become involved in conservation projects involving baby turtles or searches for whales!